You may click on any or on this map for more information. The EmilyAnn Theatre & Gardens was founded in 1998 to celebrate the life of EmilyAnn Rolling who was killed in a car accident at age 16. Initially, the EmilyAnnprovided a permanent home for Shakespeare Under the Stars, a program in which Emily excelled as an actress and costume designer. The EmilyAnn now offers productions, classes and events year-round and our 12 acres of park-like grounds are open daily from dawn to dusk. Visitors are welcome to walk through our gardens, enjoy our life-size chess/checker board and interactive musical garden, spend time bird and butterfly watching, eat a picnic lunch, visit the Veterans Memorial Plaza or simply enjoy the peaceful environment of the grounds. The mission of the EmilyAnn is to reinvest in the dignity of the human spirit through the performing arts, the beauty of nature and community fellowship. The Annual Butterfly Festival, which takes place each April, brings thousands of visitors to the EmilyAnn for a day of family fun. The festival begins with an Opening Ceremony featuring the posting of the colors at the Veterans Memorial Plaza atop the EmilyAnn's hill followed by a moving memorial butterfly release during which friends and family are invited to release butterflies in memory of loved ones. A Commemorative Air Force flyover (weather permitting) concludes the ceremony. The day continues with a wide variety of games, crafts, nature activities, live entertainment, and the release of 3500 painted lady butterflies throughout the day. A favorite attraction is Nancy's Flight House, which gives visitors the opportunity to observe a variety of native Texas butterflies. The results of the Butterfly Art Contest are announced and local entries are on display. Admission is free but donations are gratefully accepted. Game and concession tickets are available for sale (most items cost $1 - $4). Parking for the festival is at Wimberley High School. The Annual Trail of Lights opens the Saturday after Thanksgiving and continues through December 28 from 6:00 - 9:00 p.m. Sunday through Thursday and 6:00 - 10:00 p.m. Fridays and Saturdays. The Trail features a walking path through more than 100 lighted displays decorated by local businesses, community groups and families. Visitors gather at the Yule Log to roast marshmallows and celebrate the season with friends and neighbors. Live entertainment is featured on many nights or pull up a chair to watch a Christmas favorite on one of our movie nights. Hot chocolate and marshmallows are complimentary and additional concessions are for sale. The Trail abounds with activities for all ages. Play a game of chess on the life-sized chess/checker board. Make a joyful noise in the musical garden or take fun family photos in one of the many character cutouts incorporated into exhibits. Santa is typically in residence on Friday & Saturday nights prior to Christmas. The Jingle Bell Express, a favorite with the little ones, also runs Friday & Saturday nights prior to Christmas for $2.00 per ride. The Trail of Lights is a walking path; however, for those needing assistance, volunteers provide golf carts rides through the exhibits. Limited parking is available at the EmilyAnn. Additional parking is available at Wimberley High. A lighted path connects the lower high school lot to the EmilyAnn. Parking at the high school is highly recommended on busy nights. Admission is free. Donations are greatly appreciated. Dogs, alcohol and firearms are not permitted. Shakespeare Under the Stars has been delighting audiences and bringing Shakespeare's works to life since the EmilyAnn's opening in 1998. The EmilyAnn's signature program, this Shakespeare intensive offers students ages 12 - graduating seniors the opportunity to study and perform Shakespeare's works in a unique educational environment. Students spend six weeks learning all aspects of theatre from lighting, set, and costume design to performance. The experience culminates with the production of nine public performances of the play studied. The Burdine Johnson Studio Theatre hosts a variety of productions each year. The black box theatre seats 72 and is typically configured in the round, providing an intimate, engaging theatre experience. Typical offerings include an annual professional Shakespeare production, at least one musical, and a dramatic work. 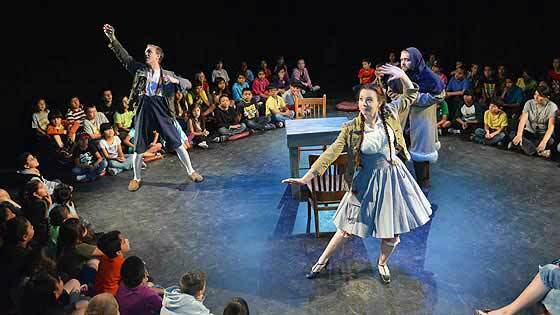 The Burdine Johnson Studio Theatre is also home to the EmilyAnn's Children's Theatre Series, a series of four interactive, 40-minute productions designed specifically for children ages two - ten, but sure to entertain audience members of all ages. Please visit www.emilyann.org for a current schedule of productions. 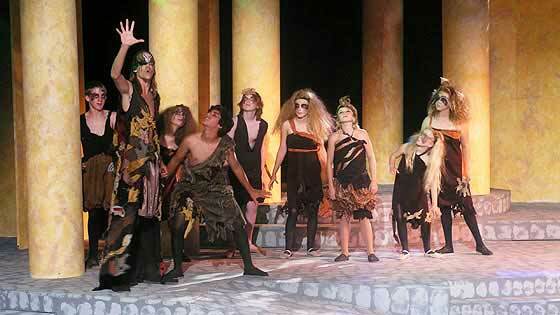 The Patti S. Harrison outdoor Main Stage hosts summer performances of the EmilyAnn's annual summer musical and Shakespeare Under the Stars, a program for students ages 12 - graduating seniors. The amphitheatre seats 400 plus. Chairs are provided or bring a blanket and arrive early to sit right up front. Blanket seating is limited but is perfect for families with young children. Accessible seating is also available. The concession stand offers hot dogs, popcorn, candy, and soft drinks, and the EmilyAnn Store sells a variety of EmilyAnn and show-related items. For a current schedule of productions, visit www.emilyann.org/productions.html. Events on Various Stages occur throught-out the annual season primarily on Butterfly Festival and Trail of Lights. The various stages play to different crowds ranging from the very young to adults of all ages. Community Involvement is something that is vital to the EmilyAnn. Without the support of our friends, civic groups, community organizations & clubs, we would not be able to provide the variety of venues and events on our grounds. By adding their energy and imagination, these groups have provided us with the resources to improve and grow over these many years. Come experience the creativity for yourself! Family & Memorial Gardens can be found throughout our grounds. Each garden is sponsored by an individual or family to honor or remember loved ones or to provide a place for the family to gather. Gardens may include interactive activities, quiet spaces for meditation, and works of art that are meaningful to the sponsors. You may find memorial plaques or paving stones in these areas that give additional information about those for whom the gardens have been created. Many families enjoy tending their gardens throughout the year and decorating them for the Trail of Lights each December. The EmilyAnn's gardens are open to the public 365-days-per-year. There is no cost to visit the gardens and you do not need to make reservations before you come. Just come on out and visit! Maps with each garden listed are available at the information kiosk next to the office door. If you are interested in sponsoring a garden, please contact the EmilyAnn's office at 512-847-6969. Click on a specific garden below to learn more about its sponsor and honoree. Many gardens on the EmilyAnn's grounds are sponsored by community organizations, churches, clubs, and school groups. Click on a specific garden below to learn more about the group that created and maintains each space. The Butterfly Garden was created to attract butterflies to our grounds. During the migration season, this garden can be swarming with various types of butterflies. We invite you to come play at the EmilyAnn! From the Musical Garden to outdoor games to Justin's Castle, our grounds offer many opportunities for creative play for the young and the young-at-heart. Perfect for play groups and family outings, the rounds are open daily. If you are bringing a large group, please let the office know in advance. For families and small groups, no advance reservations are required. Simply come and enjoy! A donation box is located near the ticket booth at the entrance to the gardens. Your donations are greatly appreciated and help us keep the gardens open at no cost to visitors. 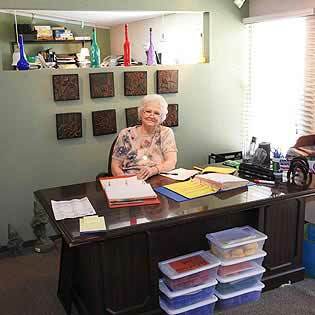 The EmilyAnn Theatre & Gardens Office is open Monday - Friday from approximately 9:00am-4:00pm. Our staff will be glad to answer your questions, sell you a ticket to a performance, direct you to a location on the grounds or assist you in any way we can. Because we are a small staff, office hours occasionally vary. If you need to speak to a specific staff member, please call to make an appointment. Take time to remember and honor those who have served and those who have made the ultimate sacrifice for our country. The Veterans Memorial Plaza hosts several events throughout the year including a Memorial Day ceremony, flag-raisings on Veterans Day and the 4th of July, and a celebration of first responders on Patriots Day, September 11. Every day, flags from each branch of the military wave proudly from the crest of the hill. The Veterans Memorial Plaza was constructed in 2007 with the encouragement of Rev. Ted Knies and the leadership of Rodger Parker. Ground was broken on the project at 11:00 a.m. on November 11, 2007. The mission on the Veterans Memorial Plaza is to Honor, Educate, and Inspire. The Annanette Harper Children's Memorial Plaza remembers those whose lives have been lost. The plaza encircles the EmilyAnn Flagpole, a historic flagpole that once stood in front of the Hays County Courthouse in San Marcos. When installing the flagpole, pavers recognizing Emily's graduating class, the Wimberley High School class of 1998, were placed in star points surrounding the flagpole. The family included a tile with Emily's name at the base of the flagpole. Over time, as others were lost too soon, tiles were placed in their honor as well. Today, the tiles at the base of the flag and in the sections between the star points remember those whose lives have been lost, while the original tiles placed by the WHS Class of 1998 remain in the star points. In 2015, a gift from the Jim and Annanette Harper Family Foundation, provided funds for improving and expanding the plaza. A new bench surrounding the plaza provides a place for quiet reflection and beautiful gardens now adorn the area. If you have lost a child and would like to place a paver in his or her honor, please contact the EmilyAnn. Built in memory of Andrew Reding, the aRt stage hosts Trail of Lights entertainment and smaller performances during community events. It's a popular spot for aspiring thespians to try out their skills every day of the year. 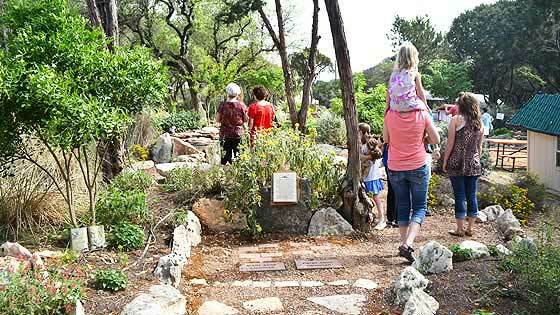 Explore native plants through the senses of sight, smell, touch, and taste in this lovely garden created by the Hill Country Unit of the Herb Society of America. Stop by the office to pick up a backpack filled with activities to help you explore the garden and the EmilyAnn grounds. Make a joyful noise in the musical garden donated by the Wimberley Rotary Club. Explore instruments made from both new and recycled materials. Many thanks to Chris Nichols for faithfully maintaining the instruments. Enjoy a picnic in our beautiful oak grove. Perfect for gatherings, the Glade includes our main concession stand which is open during outdoor performances. The adjacent Leman Stage is named for Leman Duggan, a very special young lady who has contributed greatly to the building of the EmilyAnn. See a show under the stars on our main stage! Our outdoor amphitheatre seats 400 plus. Chairs are provided or bring a blanket for up-front seating. 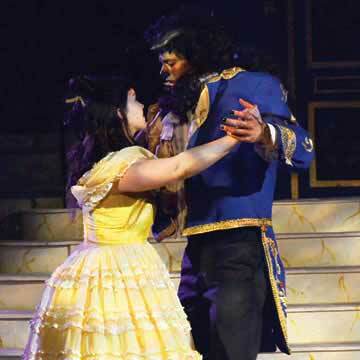 The stage features a summer musical in June and Shakespeare Under the Stars in August. When the EmilyAnn opened on August 1, 1998, the stage was a simple affair made of mulch outlined with stones. With funding from the PSH Foundation, the current concrete stage with permanent light towers was completed in 2005. In addition to providing technical capabilities for both the Patti S. Harrison Main Stage and the aRt Stage, the Tech Building serves as the main concession stand during Trail of Lights. Restrooms are located on either end of the building - Ladies on the west, Lords on the east. These restrooms are open daily including weekends. The Actors Compound includes three modular buildings which house dressing rooms, the costume shop, and costume and prop storage. We are excited to announce that the next stage of our building plan is to construct a 2600-ft. building to replace the current dressing room trailer. The new facility will also provide multi-purpose space for classrooms and community meetings when not in use for performances. We are currently raising funds for the project and plan to begin construction in 2018. Creating space for costumes, classes, and creativity! 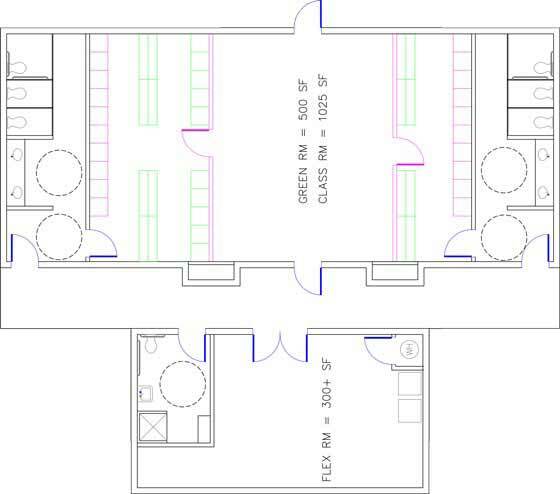 The newest project at the EmilyAnn is the a projected multi-purpose building that will serve as dressing rooms for the indoor and outdoor stages and provide additional classroom and meeting space. Thanks to generous gifts from the Willingham Family, The Burdine Johnson Foundation, the Harry L . Willett Foundation and many individuals, the EmilyAnn has raised $170,000 of the estimated needed $350,000 needed to construct the building. Our goal is to have construction well underway by the EmilyAnn's 20th Anniversary in 2018. If you would like to make a contribution to the building campaign, please contact the EmilyAnn at 512-847-6969 or visit the website http://www.emilyann.org and click on the support tab. Simply include Building Campaign in the notes section of the donation form. Thank you for your support! The Burdine Johnson Studio Theatre, which opened in the fall of 2012, houses our classes, studio theatre productions and the Children's Theatre Series. Its flexible seating accommodates 72-100 and is often arranged in the round creating an intimate theatre experience. Named in memory of long-time EmilyAnn board member and volunteer, Wayne Crawford, Wayne's Meadow features a variety of gardens and interactive play opportunities. Stroll through the gardens, picnic under the trees, explore the Fairy Garden, or play a hole of disc golf. Children will enjoy the large sand box and dinosaur exhibit. A new greenhouse and butterfly garden will be completed by the fall of 2017. Commemorate a special occasion or remember a loved one with a paver in the EmilyAnn's Pathway of the Stars. The path travels from the entrance to Glutton's Glade and is filled with pieces of EmilyAnn history. The Ticket Booth, is the first stop for guests when they arrive at a performance. An Eagle Scout Project constructed by Samuel Holberg, the booth is opens one hour prior to performances. To purchase tickets at other times, please visit our website emilyann.org or contact the office staff at 512-847-6969. Play a game of chess or checkers on our life-sized chess board donated by the Wimberley Rotary Club to celebrate Rotary Club's 100th birthday. Please reset the board for the next players after your game. All aboard! One of the most popular activities during Trail of Lights and the Butterfly Festival is riding the train, a three-car ride perfect for younger kids. The depot and its attached winter village were built by Silver Fox Farms. Round up your crew and get along little doggies to Cobb's Corral, where you can practice roping and learn the art of the lasso. Built in memory of Shane Cobb the corral is a great spot for aspiring cowboys and cowgirls to have some fun. Donated by the Cobb Family, the corral and barn were constructed by Joe Meyers as his Eagle Scout project. Get lost in Justin's Maze, filled with interactive activities for all ages. Showcasing creative reuse and repurposing of materials, the maze was created by the Engineering class from Wimberley High School under the direction of teacher, Denise Jackson. It has become a popular destination for explorers and adventurers. Take a trip back in time to when dinosaurs ruled Central Texas. Our ever-growing collection of life-sized dinosaur sculptures includes a Deinonychus, a Quetzalcoatlus, and the water-dwelling Elasmosaurus, all of which made the Wimberley area their home millions of years ago. Once you've discovered the dinosaurs, little ones can dig for their own fossils in our Dino Dig Pit, a sand box filled with the treasure of imagination. The Dinosaur Exhibit at the EmilyAnn Theatre & Gardens is a labor of love for the family of Joe Saunders who created it in his memory. The first dinosaur (a two-dimensional Parasaurolophus that is no longer displayed) was created as a Trail of Lights exhibit. Children enjoyed the exhibit so much that the family was inspired to create the three-dimensional sculptures you see on the grounds today. Go gaga for Gaga, the popular ball game played in an octagonal pit that gets kids moving and having fun. 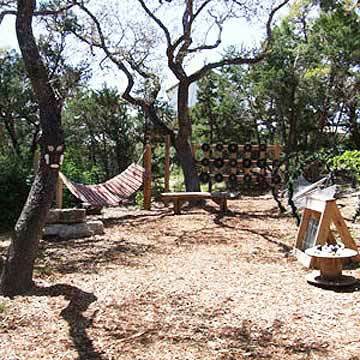 Our Gaga Pit was created by the Wimberley Girl Scout Troop 1429 in 2015 and has become a favorite spot for visiting families and school groups. Balls are provided. Please return balls to the holder on the side of the Gaga Pit when you are finished playing. Discover wonder and whimsy in our Fairy Garden, the perfect spot to spark imagination and creativity. This secret garden welcomes visitors to a shaded arbor where fairies dwell and dreams come true. Created by Wimberley Girl Scout Troop 1429 and brought to life every time you believe in fairies. 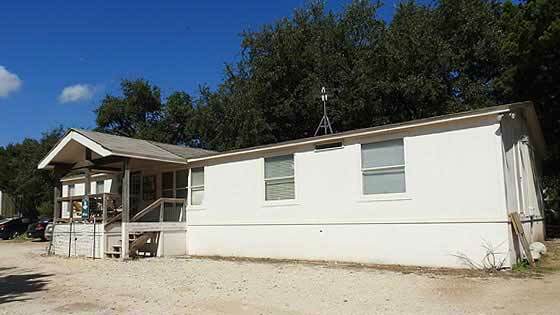 Thanks to a Community Development Partnership Program grant from the Lower Colorado River Authority (LCRA) and the Pedernales Electric Cooperative (PEC), butterflies and the plants they need will have a permanent home at the EmilyAnn. Scheduled for completion this fall, our new greenhouse and surrounding garden will grow butterfly-friendly plants year round. During the Butterfly Festival, the building will host the popular Nancy's Flight House, where hundreds of native Texas butterflies delight children and adults alike. The greenhouse will be completed by the fall of 2017. Bring your sweetie to become engaged or celebrate your love at this 200-year-old tree. According to local legend the tree is actually two trees that grew and entwined together over time. Visitors are invited to stand and join hands through the branches and pledge your love by reciting the beautiful poem written by Dorey Schmidt. and ancient as this oak. Not open to the public, the maintenance building and shop is the headquarters of the facility staff and serves as the set shop for productions. Created for a Sweet 16 party and later donated to the EmilyAnn, the carriage is the perfect photo spot for princesses of all ages. Created by renowned metal artist Bob Fowler, this 14-foot mosquito was part of the International Sculpture Conference before being donated to the EmilyAnn. Today it is a popular spot for photographs and represents the EmilyAnn's ongoing commitment to public art. Open during Trail of Lights, the Butterfly Festival and outdoor performances, the store is filled with EmilyAnn memorabilia and related items. At Trail of Lights, be sure to stop by the store for a\ variety of fun light up gear for your trek through the trail. Stretch your imagination and engage in creative play in this castle built as an Eagle Scout project by John Estepp in memory of Justin Rodriguez. Girl Scout Troop 1429 and the Rodriguez Family have added a friendly dragon to inspire young and old alike. Challenge yourself and your friends and family to a friendly game of disc golf. Nine different goals make the game a great outdoor activity for all ages. The course was a project of popular EmilyAnn Theatre thespian Denton Collie, who developed it as part of his mixed martial arts black belt journey. The course was donated by the Pessoney Family, a crew of dedicated disc golf lovers, in memory of Ann Pessoney. The Flag Retirement Pit offers community members an appropriate way to retire American flags with honor. It was completed in 2014 by Thomas Utts as his Eagle Scout project. Expand your horizons and take a look around. The top of our hill offers an awe-inspiring view 360-degree view of the beautiful Wimberley Valley. Completed as an Eagle Scout project by Foxx Hendrix, the viewscope brings the world closer while showcasing the surrounding geology. Borrow a book, share a book or donate a book. This little library sparks a joy of reading and creativity and is available for anyone looking to discover a love literacy. The Silver Project of Girl Scout Madison Haston, the The Children's Book Post was installed in 2016. 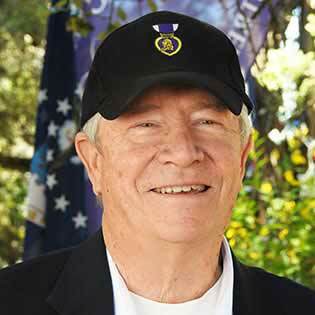 Children of all ages are welcome to take home a free book during events at the EmilyAnn Theatre & Gardens thanks to the on-going support of the Wimberley Rotary Club and the Wimberley Village Library. The Book Nook was installed in 2017 and features plenty of room to store and display books as well as a wide porch for relaxing and reading. 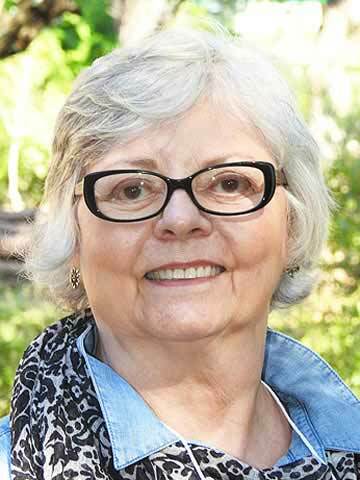 The Book Nook was named in memory of Nadine Cook, a long-time Wimberley resident and Rotary Club member. The National Society of the Daughters of the American Revolution (NSDAR) was established October 11, 1890. 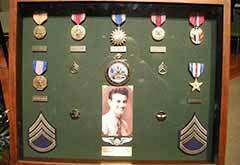 A national service organization's mission is historic preservation, education and patriotism. Membership is an opportunity to honor one's lineage and heritage as a descendant of a patriot of the American Revolution. The State of Texas DAR was established in 1895, and the Jacob's Well Chapter NSDAR was established April 18, 1992. Jacob's Well Chapter was established with 24 charter members and took its name from the famous local spring, an important landmark in Wimberley. At that time and for many years later, the chapter met in members' homes.Now, 25 years later, the membership is nearing 70 and meets monthly at the Burdine Johnson Indoor Theatre at EmilyAnn Theatre & Gardens. On October 11, 2004, on a beautiful fall morning, the Jacob's Well Chapter planted a Cedar Elm at the EmilyAnn Theatre & Gardens and hoped to expand and maintain the area around it. Today that Cedar Elm is 20 feet tall and can be seen at the Jacob's Well Chapter NSDAR Patriot Garden. A source of pride for the Jacob's Well Chapter, the Garden was annually decorated for many years for the Trail of Lights, always in a red, white and blue theme. In 2005, the garden received a Special Merit Award for “Over the Top Excellence.” Chapter activity at the Garden is recorded until 2009. The garden was forgotten for a number of years until 2015, when the enterprising Regent and Past Regent were shown, to their surprise, its location. They enlisted a few more DARs and HODARs to help weed and refurbish the Garden. On October 11, 2015, the 125th Anniversary of the NSDAR, all chapters were asked to hold a NSDAR National Day of Service. Jacob's Well Chapter chose to plant wildflowers at the EmilyAnn for their project, working along side local Girl Scout troops. Inspired by the surroundings, and with the help of the EmilyAnn, the Garden has taken on a new life. Now, new plants are seen in the garden, educational flyers for school children can be found there and members can be seen working on it every week. To celebrate the Jacob's Well Chapter's 25th anniversary, an area of the garden was set aside to honor the member's individual patriots. Placing pavers engraved with the names of our patriots, who fought or provided assistance in the war of our independence, is a new and enthusiastic endeavor of the chapter. For more information on DAR or the chapter contact: jacobswellnsdarinfo@gmail.com. Everyone who enjoys the “Little Bit of Heaven” that is Wimberley, and wants to grow beautiful flowers, healthy trees or delicious veggies, has experienced the perennial Hill Country challenges of gardening with rocks, deer and intermittent bouts of drought and flood. The Wimberley Garden Club has been dedicated to helping our fellow homeowners, businesses and community organizations overcome these challenges - and enjoy the rewards - for more than 25 years. The Wimberley Garden Club accomplishes our community-focused mission through a series of monthly programs September-May that both members and visitors are encouraged to attend. We meet at the Lutheran Church of the Resurrection, 101 W. Spoke Hill Drive in Wimberley. Tasty breakfast goodies are served at 9:30 am, and our meetings start at 10. Recent programs havefeatured dynamic presentations on the critical relationships of birds and plants by winners of the National Audubon Society's President's Award for Volunteer Service, the benefit of planting - and living with - native flora by the president of the Native Plant Society, the replanting of trees along the flood-devastated banks of the Blanco River, proper pruning techniques, the medicinal use of herbs, and water conservation. Every fall we gather to transform cuttings from our own gardens into beautiful Thanksgiving arrangements for local Meals on Wheels recipients. And each December we celebrate the season with a potluck lunch and special programming. Spring is our most active season, as we conduct a field trip in April to various Hill Country venues, and we host a much-anticipated Garden Tour of private and public Wimberley treasures in May. Membership is only $20 annually. Giving back to our community has been a priority of the Wimberley Garden Club since our founding as the Cypress Creek Garden Club in the early 1990s. The first garden we landscaped was at the then-new Visitor's Center in 1992. In 1994, we made a donation to the Wimberley Village Library for gardening books and helped start a gardening section, and in 2000 we began donating support for establishing Wimberley's Community Center. Our first donation to the EmilyAnn Theatre and Gardens was in 1999, and in 2002 we started our own garden plot at the entrance of EmilyAnn with plants donated by Garden Club members. We have continued our support of the EmilyAnn Theatre & Gardens since then, and expanded our donations - through funds raised by our annual Garden Tour - to local organizations including the Wimberley Library, Jacob's Well, Habitat for Humanity, Keep Wimberley Beautiful, TreeFolks and the Jacob's Well Elementary Student Gardening Program. Please contact us at wimberleygardenclub@gmail.com to learn more. It takes all of us to Keep Wimberley - and the Hill Country - Beautiful! Nancy Willingham was drawn to The EmilyAnn Theatre & Gardens several years ago and as she fell in love with it she began to feel a need to have a special place of remembrance for her beloved sister who had recently passed away. After her sister's garden was created and in full-bloom, Nancy's family started thinking about a special place for Nancy. This is how her garden grew. 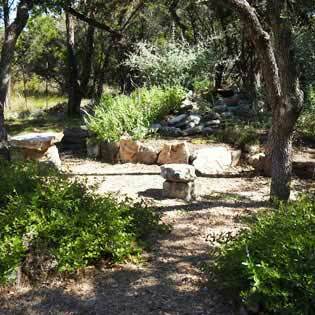 It is now a spot filled with thriving plants and a peaceful place for Nancy and her family to enjoy on their trips to Wimberley. The Brinkley Family Memorial Garden, Otherwise known as Popz's Garden, was established in 2010. Members of the Brinkley family have been a part of the EmilyAnn Theatre & Gardens since its inception in 1998. The family not only helped to clear and shape the initial landscape of the EmilyAnn, but have also served in capacities from board member, receptionist, and handyman to stage performer, photographer and videographer, and everything in between. So, when the patriarch of the family, Albert M. Brinkley, Jr. passed away in August of 2009, the family looked to the healing powers of the EmilyAnn Theatre & Gardens to help them revitalize their spirits, mend their heartsand create a living legacy garden for their beloved Popz, as he was so fondly known. Work began on the family's garden in 2010. The family met on the anniversary of Popz's death and Momz, along with each sibling, placed red roses in the garden in his memory. Not long after, a wooden bench, fashioned from a lovely cedar, was placed at the back of the garden under a large shade tree for the family, and others, to sit in reflection ... just as Popz would have wanted. Later that year the family met in the fall to begin what has become a much anticipated family reunion where all gather to decorate the garden for the annual Trail of Lights. This gathering has seen new generations joining the ranks each year where tradition and memories are passed on. There are usually 25 to 30 in attendance ranging from ages 3 months old to 88 years young. The Brinkley family has even earned the prestigious “Best Family Display” a few years running for their decorations. As the years have passed, new items have been added ... pavers for remembering births and passings, favorite scripture, important dates, as well as garden decorations, bird houses and feeders, which were a particular favorite of Popz's. New to the Brinkley legacy garden in 2017 is a new tradition to the family of reuniting each spring to clean away the old, freshen up the beds and prepare for new growth ... it is a time, once again, for celebrating those who have passed, those who are present and making memories to share for future generations of the Brinkley family. Work on this garden will begin in 2017.